The stage is set and the giants are about to clash yet again. 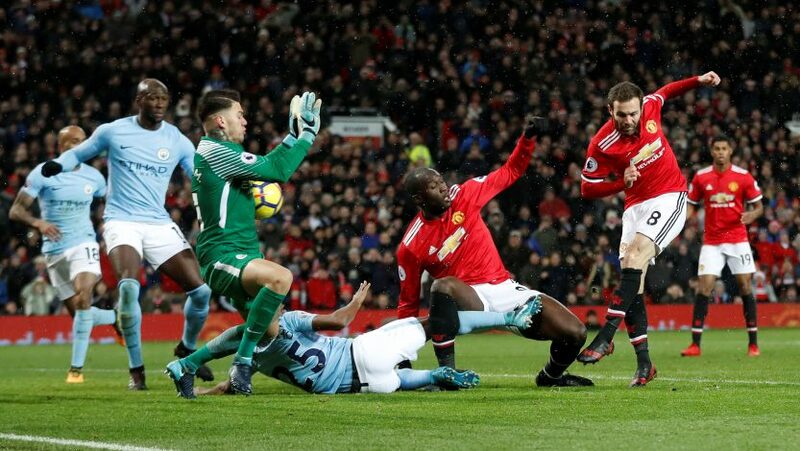 The Manchester derby cannot get any bigger in terms of stakes, as the Etihad stadium will be eager to wrap up business in the Premier League, a feat that has been a season in the making. A win and solely a win will ensure that the title is mathematically secured by the Cityzens. If three points are captured on Saturday, it will also mean that they will become the fastest side to have secured the title in the Premier League’s history. However, Jose Mourinho’s lads are bound to make life hard for them, and will want nothing more than to spoil the party of their noisy neighbors. Mourinho will be relieved to inform that his entire team is fit and ready for the encounter, save for Sergio Romero, who is likely to be out for a few weeks following the knock he received during the international break against Spain. The fit squad will ensure that Mourinho will have full liberty to deploy 4-3-3 again, and can choose between Ander Herrera and Marouane Fellaini for the third midfield spot. As far as attacking options go, his press conference hinted that Martial might be left on the bench for the derby. The Sky Blues have a lot to prove after their 3-0 defeat to Liverpool in the Champions League. However, Guardiola is also tasked with resting his side during the derby in order to field a roster that can best meet the deficit against the Merseyside rivals in the second leg. As far as injury updates go, the biggest question on the table remains whether or not Sergio Aguero will be fit enough to make it for the derby, with the Argentine striker set to undergo a fitness test late during Friday’s training. Apart from that, Benjamin Mendy is a sure miss for the derby.